Prickly Pear 2 is made of steel with a black wooden base. 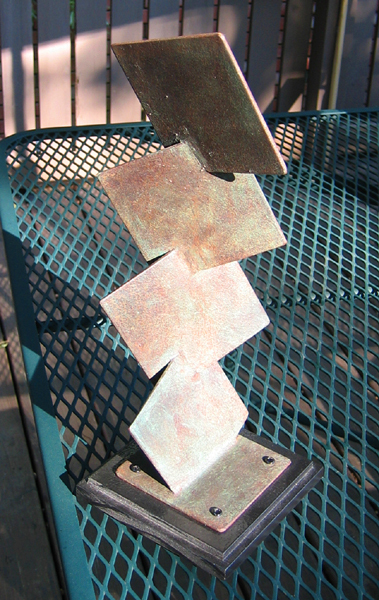 The piece was rusted then patinated with "verde" and "black" sculpture waxes. It has a rich bronze appearance. It is 15" high. Location In the possession of the artist's daughter.